I have created many wonderful mini albums, but my Halloween Altered Mini Album - Too Cute to Spook is one of my favorites. 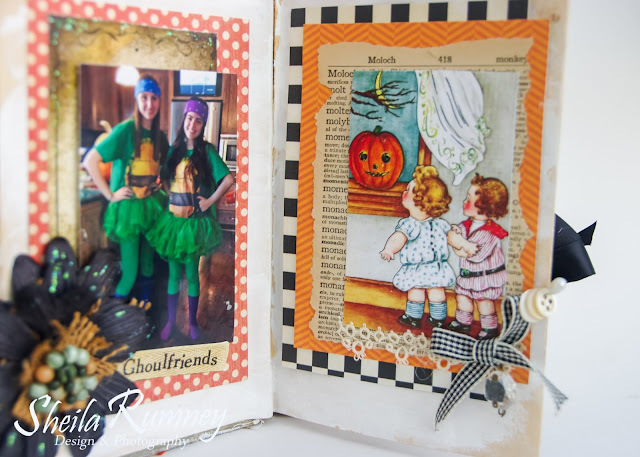 It is filled with wonderful family memories, vintage images and embellishments. For this album I coated the pages with gesso to give a softer look and to allow some journaling room. Next I created this burlap layered flower and topped it with a vintage earring. 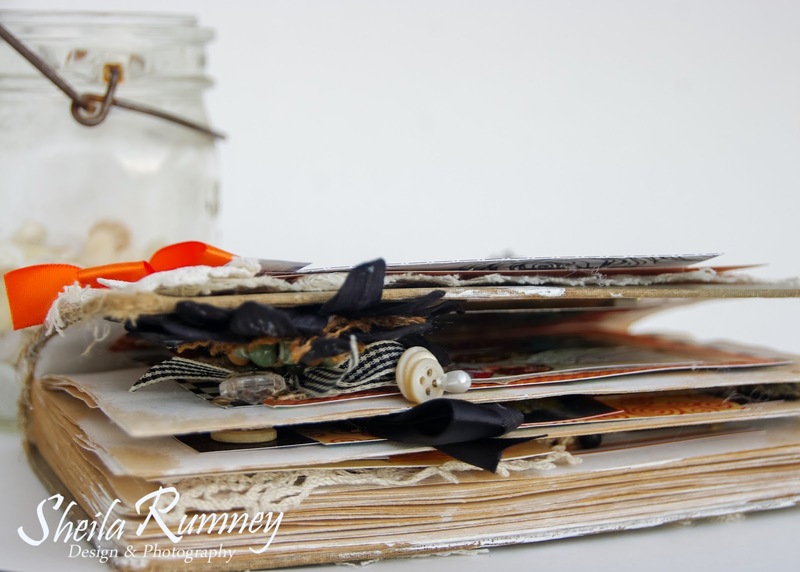 Beautiful papers, vintage book pages and some glitter to add just the right touch. 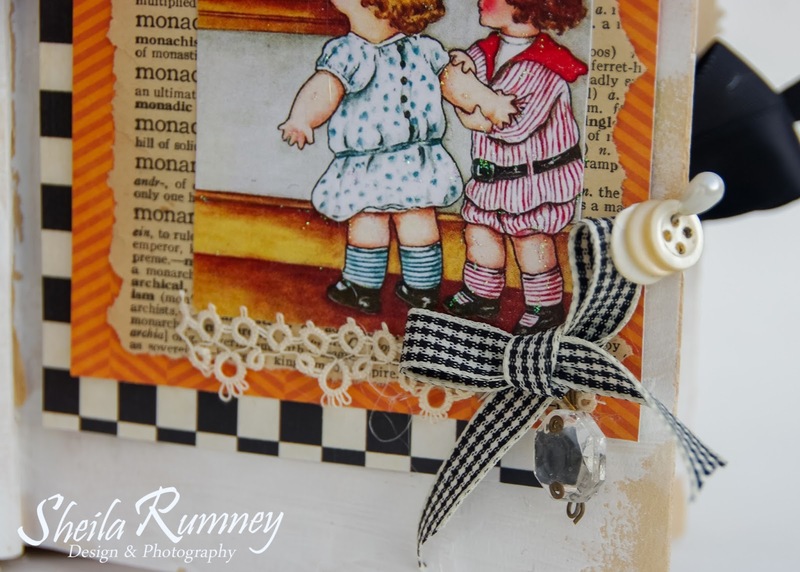 I hope you enjoyed a little look back at this sweet album. 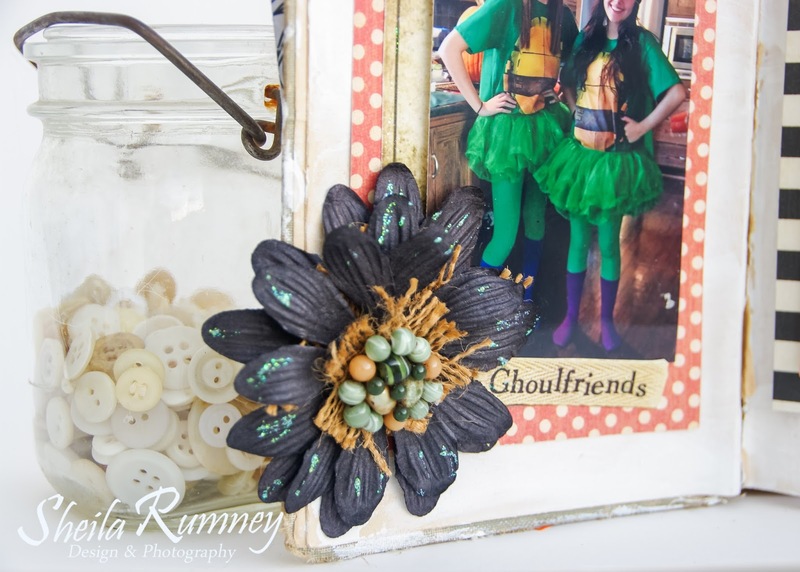 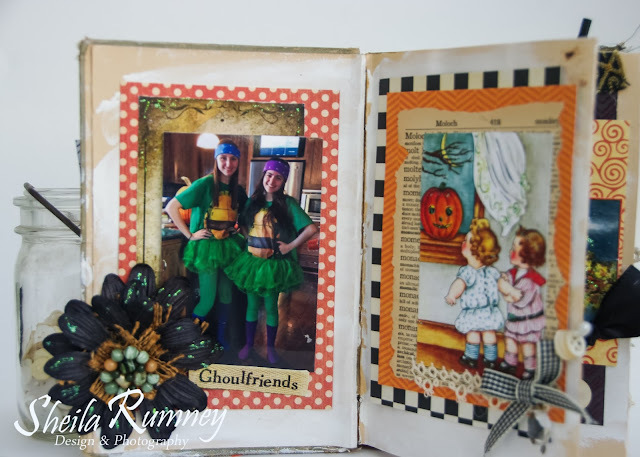 Why not start creating a special Halloween album to showcase your ghoulish memories this year?